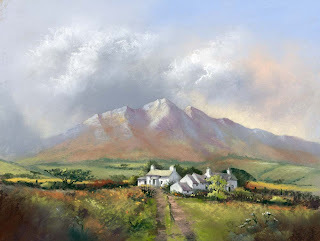 This entry was posted in art, composition, http://www.blogger.com/img/blank.gif, Jenny Keal Blog, pastel painting by Jenny Keal. Bookmark the permalink. Whenever I do a bit of ‘Artistic License’ I usually get a comment saying,,,, that’s not there! Or, that building is too close!!!! Yes, that is why its a painting and not a photograph!